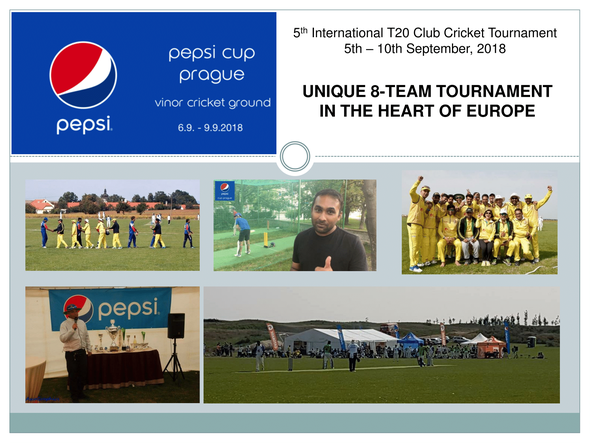 The 2018 tournament takes place at Vinor Cricket Ground just outside Prague from Thursday 6th to Sunday 9th September 2018. 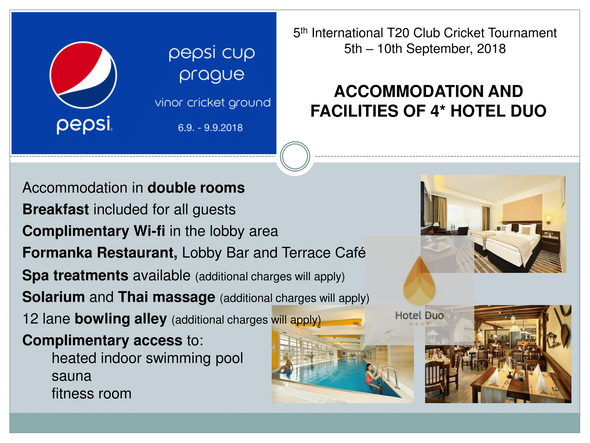 Travel arrangements are the players' responsibility. 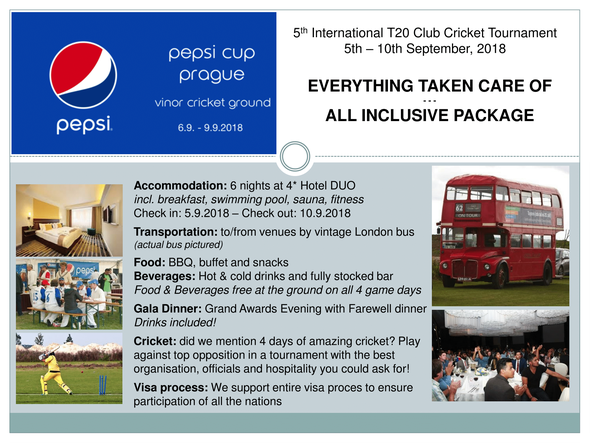 The tournament fee is €470 per person which includes accommodation in a 4 star hotel (check in 05.09.2018 - check out 10.09.2018) including breakfast, swimming pool, sauna and fitness, transportation to/from the ground in a London double-decker bus and unlimited food and beverages all day at the ground. A non-refundable deposit of €200 is required to confirm your availability. 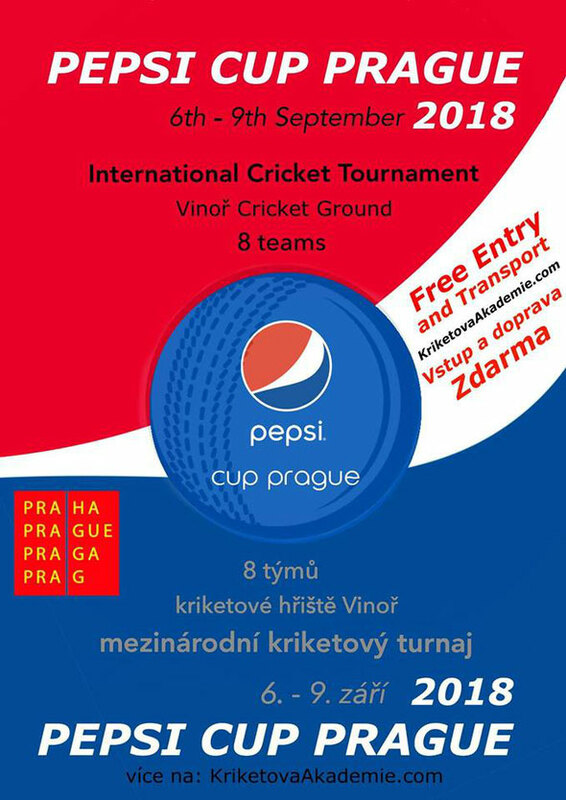 More information about the 2018 Pepsi Cup Prague is available from the Cricket Switzerland website or by email from Mohamed Sameel.